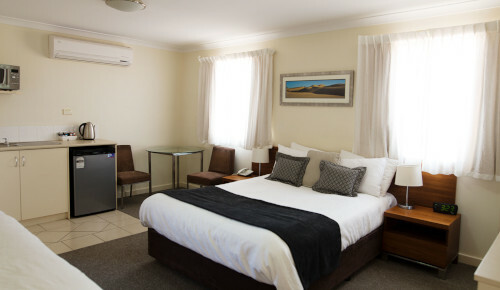 These Deluxe Studio Rooms serve as the perfect base for exploring the magnificent sites of Kalbarri. With a queen and a single bed they're great for couples, friends and smaller families. 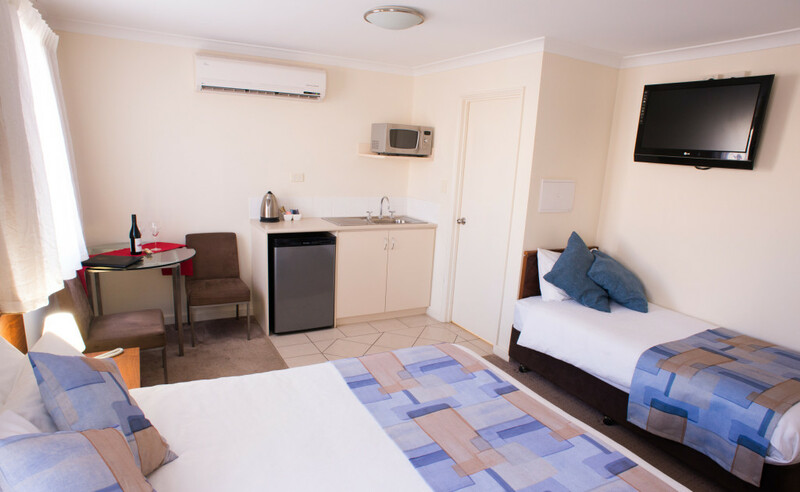 Each studio has a wall mounted flat screen tv with Foxtel (free), separate bathroom with walkin shower and a kitchenette. The kitchenette has a mini bar sized fridge with small freezer section, kettle, toaster, microwave with microwave cookware, cutlery and crockery. Please note that there is no oven or cooktop however there is a barbeque located at the pool which is operational until dusk. Please be aware that this style of accommodation does not have a deck, balcony, patio or outdoor area. We recommend this apartment for shorter stays.